would recommend this service to every one. 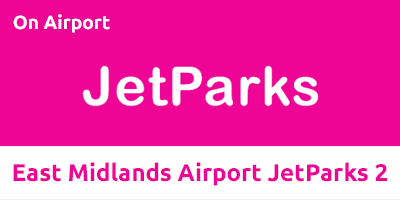 JetParks 2 is the perfect parking solution for East Midlands Airport if you're looking for transfers that take less than 10 minutes. With shuttle buses operating at least four times an hour throughout the day, you'll never be left waiting for more than a few minutes; making it an ideal choice for both business and leisure travellers alike. Transfers operate 24 hours a day, running every 10-15 minutes. The journey takes approximately eight minutes. Although great value, JetParks 2 doesn’t cut back on security; the car park is a holder of the police-approved Park Mark Safer Parking Award. For your added safety and peace of mind, the car park also features: 24-hour CCTV, security fencing, regular patrols and security lighting. Blue Badge holders can park in the designated parking bays and all transfer buses are DDA compliant. JetParks 2 is open throughout the year, day and night. No trailers are permitted in this car park, however, no height restrictions apply. Follow the A453 for 2.8 miles. Go past the airport until you reach a roundabout and turn right. On the next roundabout turn left into JetParks 2. Head to the entrance barrier. Once the automatic system has recognised your number plate, a ticket will be provided and the barrier will rise. Drive into the car park and find an available space. Once you’ve parked your car, take a shuttle bus to the terminal. Take the JetParks shuttle bus back to the car park. Collect your car from where you parked it. Head to the exit barrier and insert the ticket you were issued on arrival. The barrier will automatically rise and you can exit the car park.